The Ladies Football Club was formed in September 2004 and now has a good squad which is growing in skill and confidence daily. Most of the squad members were very new to football when the club first started and some had never even kicked a football before! 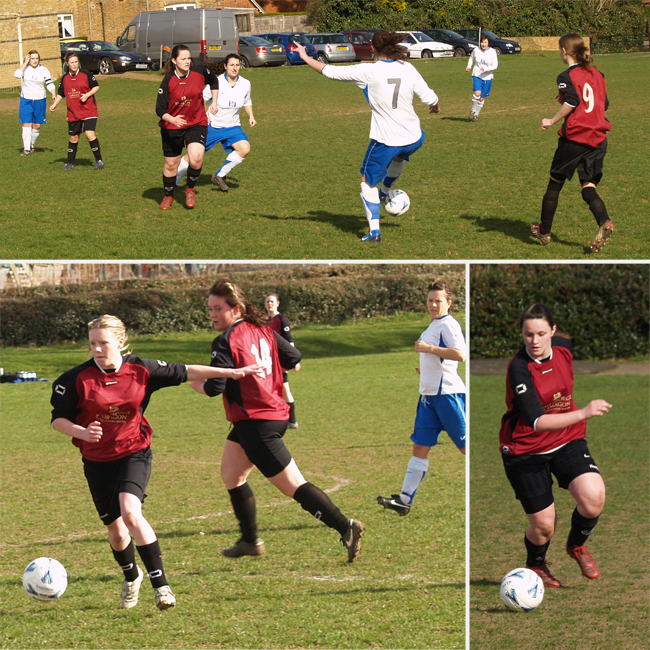 The club, which currently plays in the Bedfordshire Woman's Open Age County League, meets at the Sports Field for training sessions on Tuesday evenings from 1900 to 2100. Although the club is strong, it is very keen to attract new players to this popular sport. So, if you want more information about the Ladies Football Club, please contact John Fitzjohn on 07837 755074 or visit their website.